Every little girl dreams of becoming a beautiful princess. 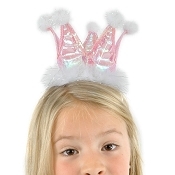 If your own precious daughter is scheduled to celebrate her birthday soon or perhaps attend a costume event in school, there's nothing like one of our princess hats to brighten up her day! Surely you'll find one here that would suit her look and would bring a smile to her face. 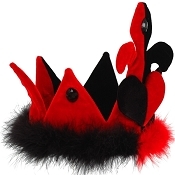 These princess hats also make wonderful gifts to nieces, godchildren, and more. 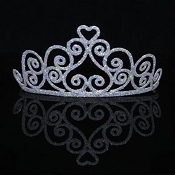 Wearing one is bound to make a young girl feel lovely and special, igniting her imagination and allowing her to feel like royalty in a magical kingdom. Want the classic princess look? Then go for our fluffy, adorable pink crown. 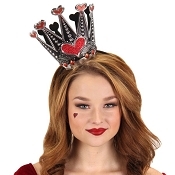 And if you want something unique and more adventurous, you can choose between our leopard birthday crown or the queen of hearts crown! 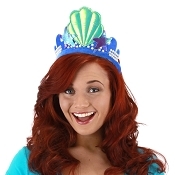 Of course there's always the Disney Princess hat that a lot of girls simply love. Well, it's your pick. Enjoy browsing through our selection or showing off the options to your own princess!